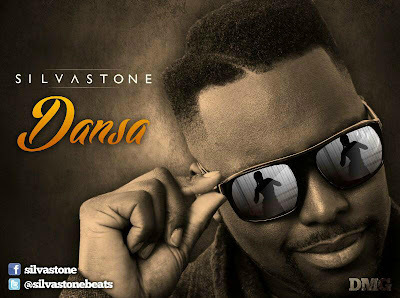 After working with and producing for all the top stars from D'Banj to Naeto C to 2Face to Banky W as well as our favourite international stars such as Rita Ora, Sway and Estelle, award-winning producer and musician Silvastone is proud to debut his first official solo single titled ‘Dansa’. Inspired by Silvastone's extensive travels across Africa and all the cultures, stories, beats and dances he has experienced from different countries, ‘Dansa’ is a proud declaration of all the cultural richness and diversity that the African continent has to give to the world. Fusing lush and infectious Afrobeats rhythm with "European-sounding" electronic dance music, Silvastone simply wants to ger us all dancing. So far in 2013, Silvastone has already scored a viral hit thanks to his production work on Sister Deborah's ‘Uncle Obama’ while his remix of Mark Morrison's comeback single ‘I Am What I Am’ proved successful among UK's growing Afrobeats audiences with support from BBC 1Xtra and Choice FM. Add that to the fact that he was recently voted Africa's fourth best producer by Vibe Weekly and now, his new solo single ‘Dansa’ comes right on time to show fans and critics that there is more to Silvastone than just producing hit songs. His other 2013 accomplishments include scoring several hit records in Nigeria, Kenya and Ethiopia as well as an extensive tour around the world performing and DJing. Currently working on his debut solo EP as an artist, you can expect many more exciting singles from Silvastone in the coming months, to not only showcase his production prowess but to introduce audiences to Silvastone - the artist!